When a loved one dies there are significant legal issues that come up for the executor or administrator. Probate is simply the process of the Court validating the Last Will and Testament of a deceased person, referred to as a “decedent” and having the executor appointed. Some of the duties of the executor are paying the decedent’s final bills and estate taxes and/or inheritance taxes (if any), and then distributing what’s left of the decedent’s assets to his or her heirs. 1. Filing the Will and petition at the probate court in order to be appointed executor or personal representative. In the absence of a Will, we will petition the court on behalf of heirs to be appointed “administrator” of the estate. 2. Marshaling, or collecting, the assets. This means that you have to find out everything the deceased owned. You need to file a list, known as an “inventory,” with the probate court. It’s generally best to consolidate all the estate funds to the extent possible. Bills and bequests should be paid from a single checking account, either one you establish or even better, one that we set up as your attorney, so that we and you can keep track of all expenditures. 3. Taxes, taxes, taxes. If a state or federal estate tax return is needed it must be filed within nine months of the date of death. If you miss this deadline and the estate is taxable, severe penalties and interest may apply. If you do not have all the information available in time, we can file for an extension and pay your best estimate of the tax due. 4. Filing tax returns. A final income tax return for the decedent must be filed and, if the estate holds any assets and earns interest or dividends, an income tax return for the estate as well. If the estate does earn income during the administration process, it will have to obtain its own tax identification number in order to keep track of such earnings. Our probate attorneys are well versed in the latest probate tax issues. 6. Filing a final account. The executor must file an account with the probate court listing any income to the estate since the date of death and all expenses and estate distributions. Once the court approves this final account, the executor can distribute whatever is left in the closing reserve, and finish his or her work. We have the experience to make every step of the probate process less burdensome for our clients so they can arrive at the final accountings with a sense of ease. Do I need to get the original Will? Yes. 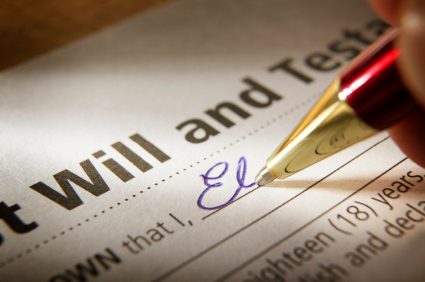 A photocopy of the Will is not considered a legal document and ordinarily will not be honored. If you are the executor it’s likely you have it stored in a safe place such as a safe deposit box. Or perhaps it’s with the attorney that drafted the Will. Note that even though another attorney may have drafted the document or represented you or your family before, there is no obligation to continue use that attorney and we can certainly assist and save you time, money and anguish. How long should it take to “settle” an estate? It depends on the individual facts and circumstances involved in the particular estate. With no major disputes among the beneficiaries or the need to commence a lawsuit to collect a debt owed to the decedent or to pursue a wrongful death claim, an estate where no estate tax returns are required should be wound up in less than a year after the decedent has died. With our hands-on approach, clients aren’t lost in the shuffle of a large firm. We expedite to our clients satisfaction. Removing the burden for an executor and family.